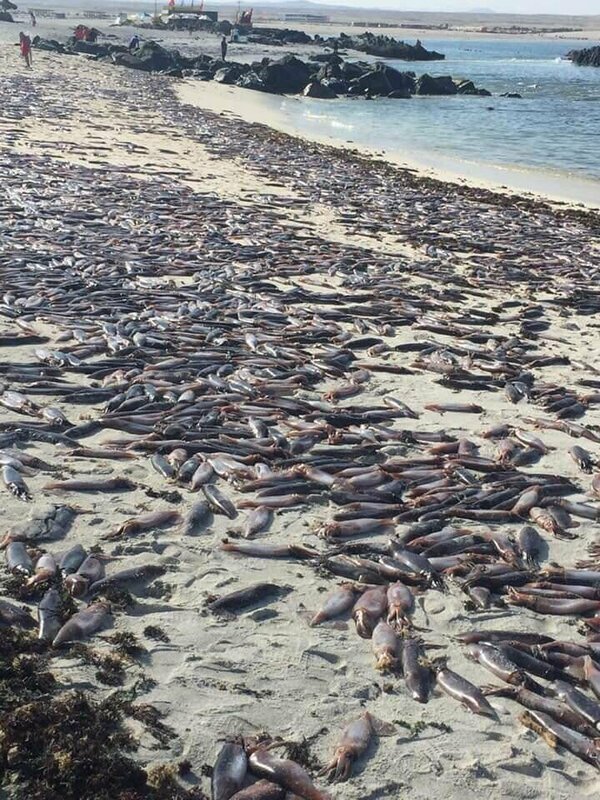 Thousands of cuttlefish have mysteriously washed ashore in Chile's Bahia Inglesa, a coastal area that is one of the country's main tourist hotspots. Locals say such an incident has not happened before, and environmental authorities are investigating and have warned locals not to eat the fish amidst pollution fears. There are concerns that the dead fish could damage the region's fishing industry, a major driver of the local economy. Bahia Inglesa is a popular summer destination for Chile, with thousands attracted to the area's pristine beaches. The deaths remain as ever, a mystery. 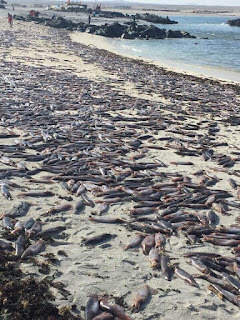 The thousands of dead cuttlefish washed up close to where heavy rains have wreaked havoc in northern Chile last week causing rivers to overflow and forcing residents from their flooded homes. Extreme rainfall in the Andes claimed several lives and destroyed homes and roads. In the Atacama Desert, normally one of the driest places on Earth, a 60m (196ft) waterfall that had run dry for 10 years has been reactivated.